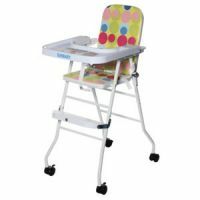 This high chair from Sunbaby is lightweight and compact meal time chair with tray. It is easy open or fold, using the intuitive controls, and folds down very small in a simple, but safe way. When folded the chair takes up a minimum space for storage. The safety harness provides essential safety for the baby. Comfortable chair seat with footrest. 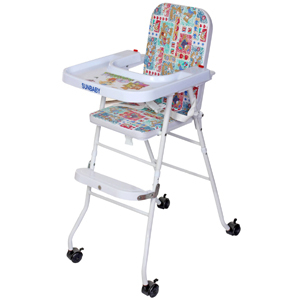 To Recieve updates and possible rewards for Sunbaby SB-4217W Multi-color please sign in. To Recieve updates and possible rewards for High Chairs please sign in.